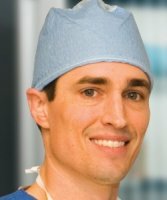 Dr. Fassero graduated from Creighton Saint Joseph Medical Center in Omaha, Nebraska, in 2001 and completed his residency and ophthalmic training at the M.S. Hershey Medical Center. Dr. Fassero served as Chief Resident at Penn State Ophthalmology and was named Intern of the Year at Creighton. He is a staff physician at Sunbury Community Hospital. 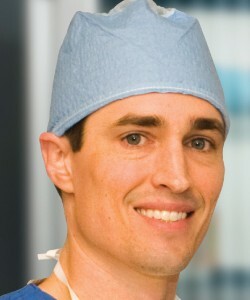 He is a member of the American Academy of Ophthalmology and the American Society of Cataract and Refractive Surgery. Everyone at the Eye Center is awesome! From the secretaries to the doctors and everyone inbetween. I felt very safe and comfortable during my procedure. Thank you! The procedure went so well, fast and yet everyone was very caring. Office waiting room needs to be bigger and could use auto door. Dr. Fassero is the best. He has always been patient and addresses my concerns. I would recommend his services to everyone. I had no problems, very satisfied with procedure and outcome. Dr. Fassero was very friendly, accommodating and very helpful when I asked questions. During LASIK, he talked you through the process and made me feel very comfortable. What an excellent doctor! My insurance Rx did not cover the Gat, floxacin. The pharmacist said there were others available. I could not get anyone at the Eye Center to help me. Paid out of pocket. Need sign out my Main rd. when coming from Williamsport. Its hard to know where to turn until you've been here a few times. A lady told me she wished she has 3 eyes so she could come back! Wow! Having my cataracts removed was an amazing experience. I don't understand why people would postpone it. Instant vision for me. Everyone has been very helpful and willing to put me at ease. At initial appointment each person offered to talk to me anytime if I ever had questions. Was easier than I thought. Really pleased at how well I can see. Very pleased with my experience for the removal of cataracts. I highly recommend this facility. Very pleased with everything and everyone. My experience was very good. Very happy with results. Had no idea what to expect but was not bad at all. No pain & almost instant improvement. Staff is friendly made me feel like they knew me for years instead of 1 month. Only one word to describe Dr. Fassero and his staff. Awesome! He is a very wonderful doctor. I appreciate everything he has done for me. I thank God everyday for bringing him into my life. I had a very good experience with the overall care. Very attentive, thorough, responsive. Very satisfied with the outcome of my procedure.Big Thank You. Everyone at the eye center was very helpful and explained things very well. I would recommend them to anyone with vision problems. I'm very comfortable with my care with Dr. Fassero and the staff at both places. Dr. Fassero is exceptionally considerate and generous in explaining procedures to patients.